Wondershare TunesGo-Easily Transfer iPhone, iPod & iPad to iTunes & Computer.Key features of Wondershare TunesGoManage your iDevice with TunesGo. Do what iTunes can't!Transfer songs, videos, playlists, iTunes U, Podcasts to iTunes/PC, and vice verse. 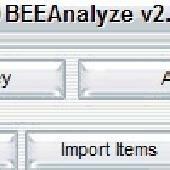 Refacing kitchen cabinets presents BEEAnalyze for searching your niche. Find refacing kitchen cabinets blogs to learn how to reface your kitchen. Refacing kitchen cabinets presents BEEAnalyze for researching your niche. Find refacing kitchen cabinets blogs to learn how to reface your kitchen. Search and find refacing kitchen cabinets blogs to learn how to reface your kitchen. Easily search BEEAnalyze and submit all the refacing kitchen cabinets information you want to Trends so others may see what you're up too. 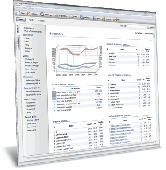 Log2Stats is a client based log analysis solution designed for professional web masters. Get comprehensive information about your web site via improved user interface, great report filtering and highlighting, complete control of your reports. Log analyzer: Trends: downloadable web log analyser. Generate reports for daily, weekly or monthly trends in statistics: unique visitors, visited pages, referring sites, search engines, key phrases, etc. Detailed statistics on one screen! RQ Apache Log Viewer allows comfortably to view apache log files, downloaded on your PC. RQ Apache Log Viewer parses Apache log file, loads it into the table and hilite the specific information. Log Analyzer : Amazing execution speed, a high level of configurability PER REPORT (including the possibility to define your columns), database support for a follow up over months,lots of details on search phrases and engines. Woopra delivers a complete suite of enterprise grade analytics in one easy to use live interface. Woopra delivers a complete suite of enterprise grade analytics in one easy to use live interface. Now you can monitor multiple Websites simultaneously in a tabbed window and switch quickly between each.Woopra also lets you watch visitors LIVE as they navigate your site, interact with them via Chat, set up real time notifications, track campaigns, set up funnels, and much, much more!